Cutterz Choice, London Drum and Bass. : Next Event 26th October 2012 - Londons Calling! Next Event 26th October 2012 - Londons Calling! 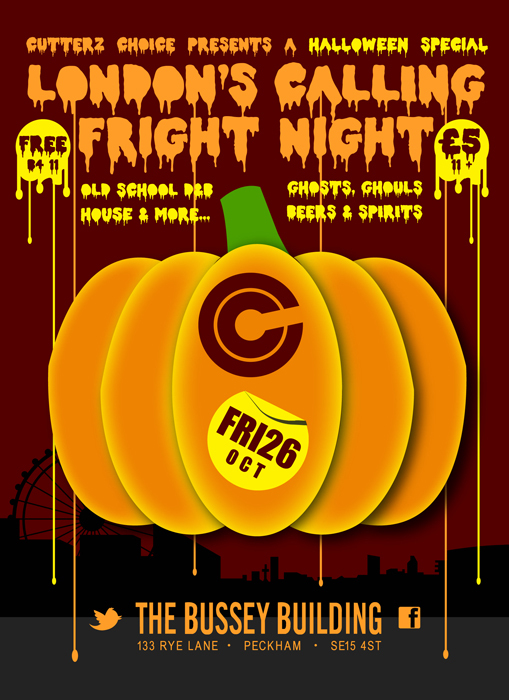 London's Calling - Halloween Special! Warehouse Party @ The Bussey Building, Rye Lane, Peckham, London. £5 Entry All Night Long - More info coming soon..